Bottle glass, mirror in old window. 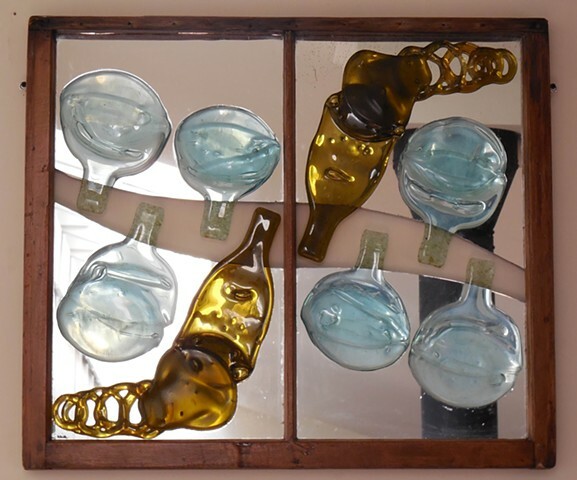 27"h x 30"w x 2"
Bottle glass, mirror in old window. Includes unfired swarf.